Shenandoah Studio’s released their first iPad game from their Kickstarter campaign. 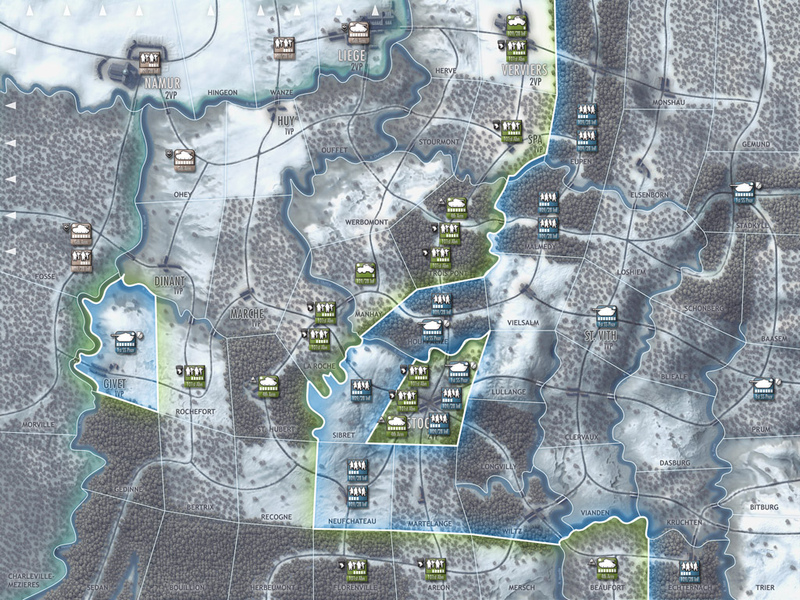 Battle of the Bulge: The Simulation Game for the iPad is a light operational-level wargame about the Battle of the Bulge designed by John Butterfield. The good news is the game plays as good as it looks and as good as all of the Kickstarter supporters hoped. It is definitely on the light side for a wargame but offers enough nuance in strategy that it keeps you playing as you try to see how different approaches will work. 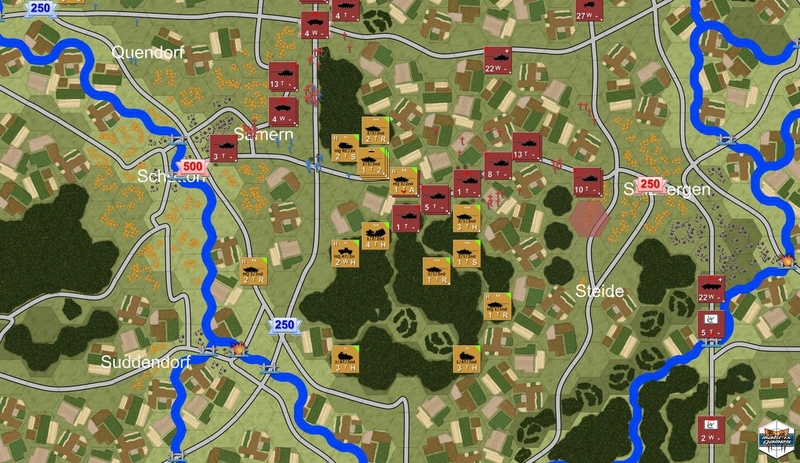 The game includes two scenarios, a shorter three-day Race to Meuse and the full campaign game. 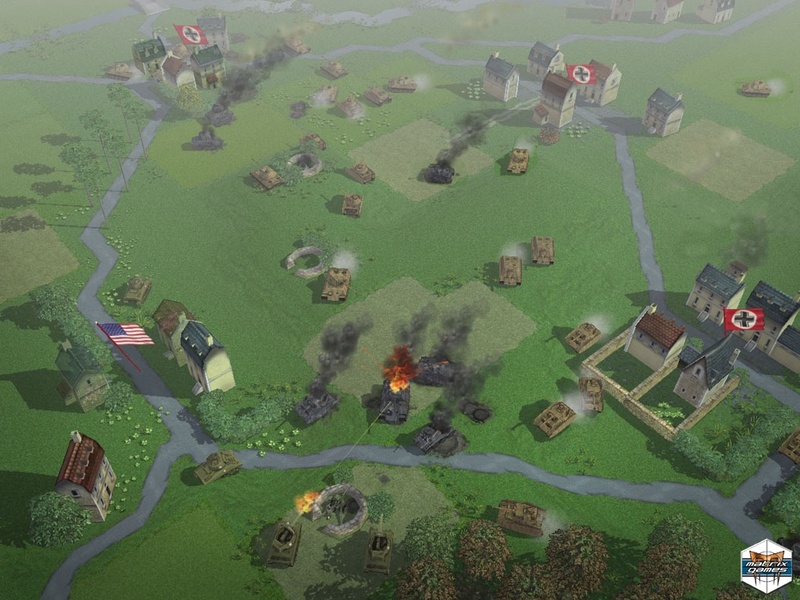 You can play both from either the Allied or Axis side and against two types of AI opponents. The AI is quite good and I lost dozens of games of Race to the Meuse as the Germans until I finally realized I should push in the North. Maybe it isn’t possible to win running down the center or the South but it sure is fun to try. The AI doesn’t seem able to successfully defend against a northern thrust in the Race to the Meuse scenario but does give a good account of itself. The campaign is challenging from either side. You may win an early victory but you probably won’t think it was easy. But if you tire of fighting against the AI you can play a real opponent face-to-face or go online against others. The presentation of the game is outstanding and perhaps best of all the game includes all the normal wargame rules and charts that the game uses. It is quite easy to play the game without reference to the rules but if you are curious how things are working this is a very nice, and welcome, addition. There is also nice historical detail provided on the battle day by day that is there for those who want to read it but does not get in the way of the game. If you like operational wargames give the Battle of the Bulge a look. It is a great game and great example of how good the iPad can be as a gaming platform. PocketTactics has a nice review of the game. Three Moves Ahead has an insightful discussion of the game in Episode 200. 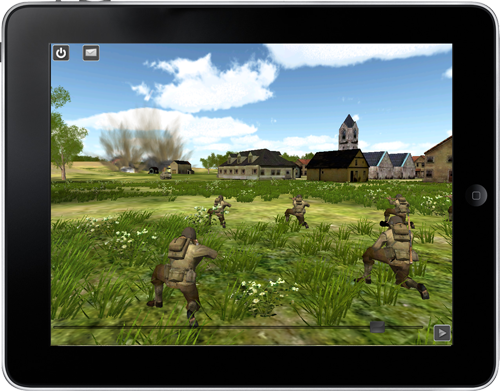 This entry was posted in Computer Wargames, First Looks, iPad Gaming, WW2. The folks over at Shenandoah Studio have decided to use Kickstarter to launch their first iPad game. 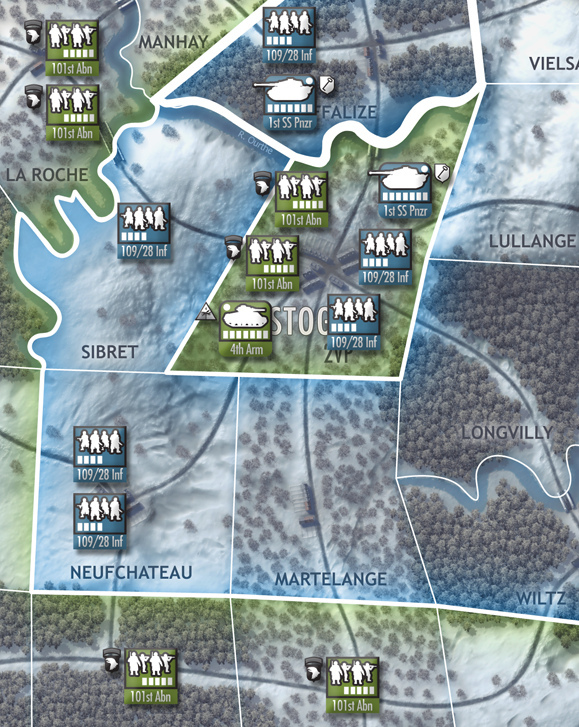 Battle of the Bulge: The Simulation Game for the iPad is a light operational-level wargame about the Battle of the Bulge designed by John Butterfield. It appears that there will also be a printed version of the game as well and supporters at the $150+ level get both the iPad version and the printed boardgame. We’ve been watching Shenandoah Studio for awhile now and are happy they chose to use Kickstarter. Considering the success of Ogre Designer’s Edition on Kickstarter it should be easy for Battle of the Bulge to reach its $20,000 goal. In fact it is already past $5,000 on its first day. If design is any indication of the quality of the game Battle of the Bulge should be a real winner. With luck we will see more iPad titles from Shenandoah Studio in the future. Update: As an added incentive Shenandoah Studio announced the next game in the Crisis in Command Series, El Alamein. All those pledging $20 or more will get both games. There does not seem to be a boardgame version of El Alamein. As of this writing they are just a few dollars shy of their goal so the project is certainly a go. Update: The game reached almost twice its goal and is now live in the App Store. It is a great game. This entry was posted in Board Wargames, iPad Gaming, News and Updates, WW2. 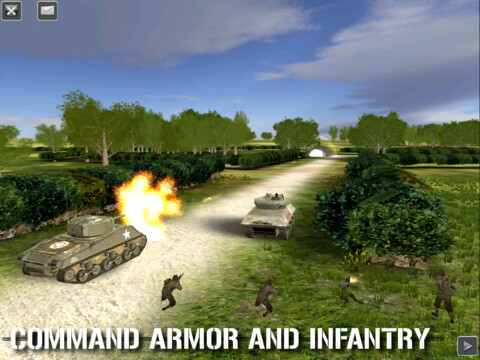 Combat Mission: Touch — Now Available! Well iPad wargaming is finally here! First we get Battle Academy and now Battlefront.com just announced and released Combat Mission: Touch for the iPad. It is a lighter version of the computer game but well done overall. A quick update: I’ve gotten in a few goes at two scenarios with it now and have gotten waxed by the AI. See our Twitter posts for some screen shots. 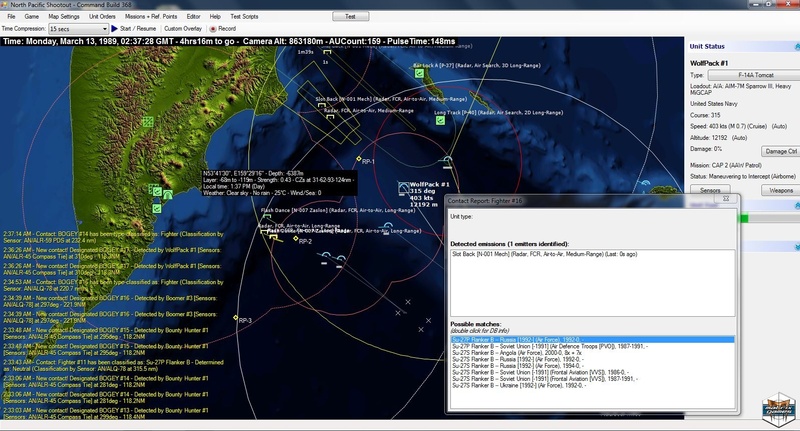 The game is not the full PC/Mac version of Combat Mission (unlike Battle Academy) but it is similar. Movement seems sped up a bit and the graphics are not as good but still quite good for a tablet. Seven scenarios are included and if the game does well enough I suspect we’ll see lots of add-on packs for those. If you like CM you will like this game. If you are new to wargaming or tactical combat games it is a very good place to start. The tutorial is well done and quite funny. Get out your War Finger! Another quick update: The quality of the game certainly centers on the scenarios. The Crossroads scenario we enjoy a lot but the speed of the German advance makes it hinge on the American initial setup. The Uncle Red Beach scenario disappointed us quite a bit and it is the first scenario in the game if one plays in order. The terrain is practically featureless. The tactical nuance comes from the folds in the ground. This is a strength of the PC/Mac game but on the iPad the slightly awkward map manipulation (and we are on the iPad3) and weaker graphics overall makes taking advantage of terrain more a nuisance than an enjoyable activity. Various bugs also became apparent with units getting hung up and there is an oddity at certain zoom levels where units suddenly bend over. We need more play but unit auto-reactions may be buggy as well but this may also simply be a line of site issue which, again, is more difficult on the iPad. The game is absolutely worth the $5 but it is also not a replacement for the desktop version of the game and probably needs some bug fixes. 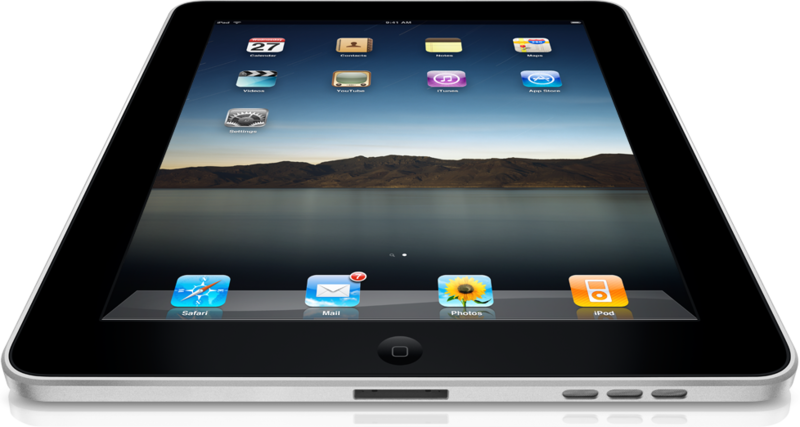 Also see The Apple iPad3 and Gaming. This entry was posted in App, Board Wargames, Computer Wargames, iPad Gaming, Miniature Wargames, Reviews. With the release of the Apple iPad we thought we would break a bit from our usual gaming coverage to give a gamer’s eye review of the new tablet. We have had the iPad since Saturday (3APR10) and have been using it quite a bit. So we have had time to find most of its faults and enjoy its benefits. We will not repeat what you can read in a hundred other iPad reviews by now. Suffice it to say the hardware is gorgeous, the display vibrant, the performance amazing, and the battery life really is 10 hours (if not more). The WiFi-only model is available now and the 3G model will be available at the end of April. But what does the iPad mean to you as a gamer? Well it has a number of applications (no pun intended), some obvious and some not so obvious.